Sapho is a darling girl that has been looking for her home all summer! She is a gentle soul who is wonderful with kids and other animals. Kind, relaxed and motherly – this cat will make a wonderful addition to any home! 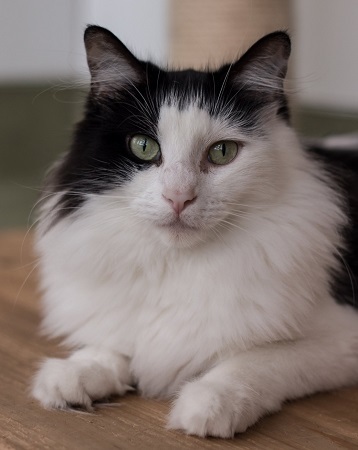 She is 2 years old and available for a meet and greet at the Pixie Project’s cattery. She is fixed, vaccinated, and microchipped. Her adoption fee is $100. For more information please email info@pixieproject.org.